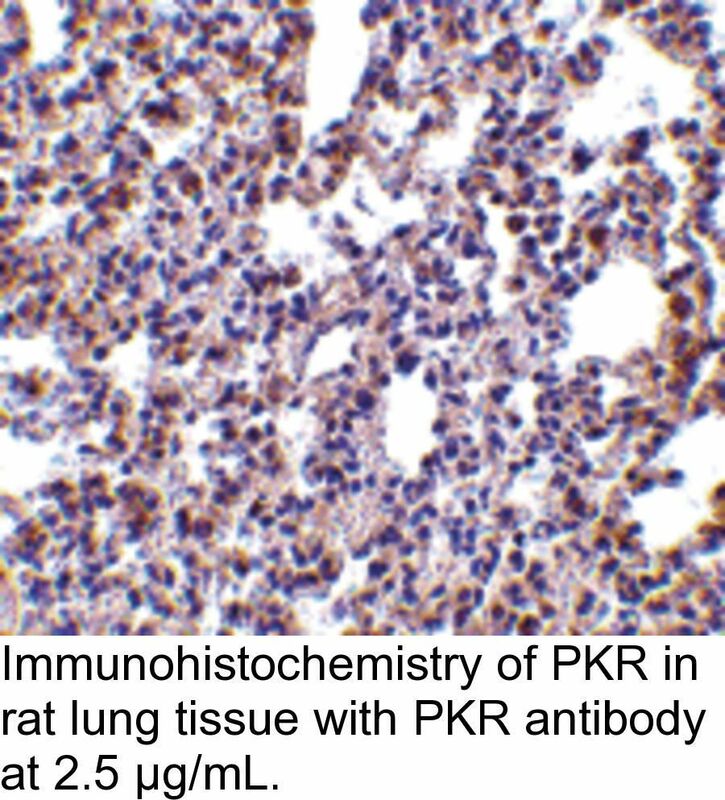 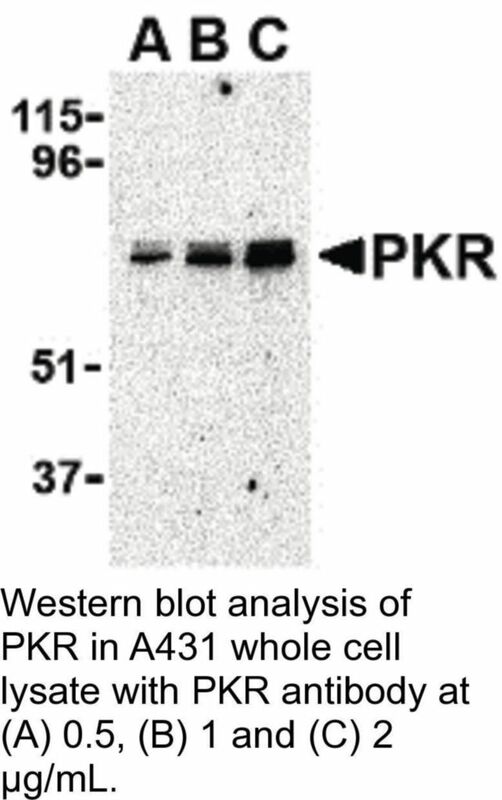 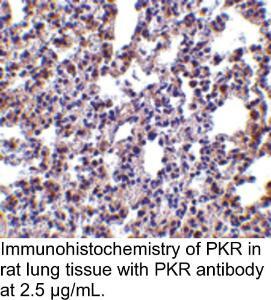 PKR Antibody: The interferon-inducible, double-stranded RNA (dsRNA)-dependent protein kinase PKR is a member of the eukaryotic initiation factor-2 alpha (eIF2-alpha) kinase family, possessing serine-threonine kinase activity and two dsRNA-binding motifs that acts as part of the innate immune system. 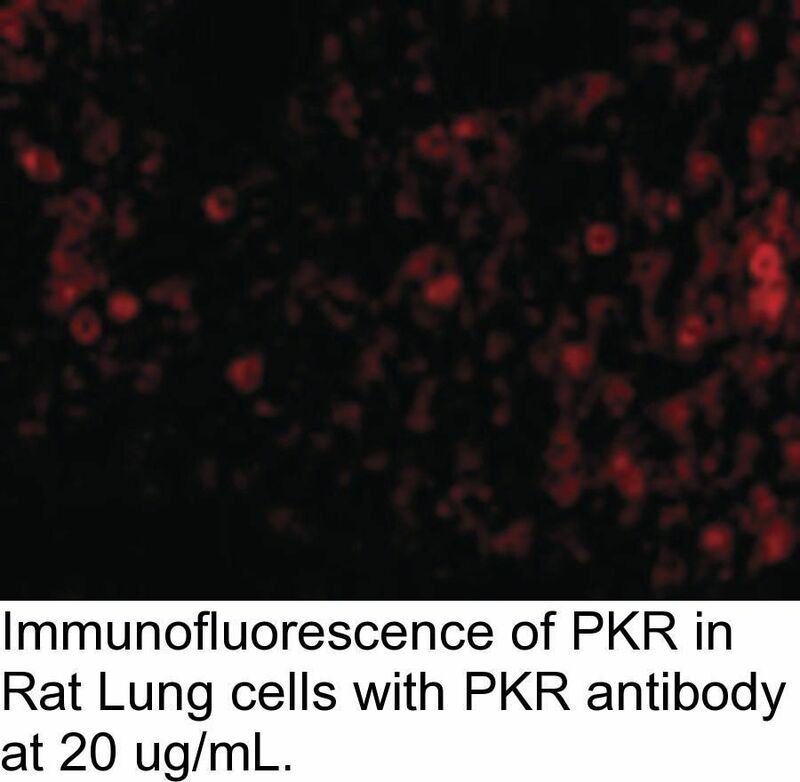 Upon binding dsRNA, PKR undergoes a conformational change leading to its activation and its phosphorylation of the translation factor eIF2, resulting in a general shutdown of protein synthesis and induction of apoptosis through upregulation of caspase-8 and capsase-9 activity in order to prevent the production of more viruses. 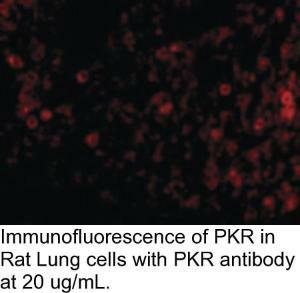 To evade the antiviral effects of PKR, viruses have evolved multiple mechanisms, such as the inhibition of PKR by the non-structural protein (NS1) of the influenza virus. 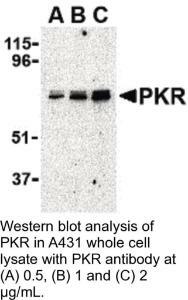 More recently, PKR has been implicated in several neurodegenerative diseases including Alzheimer, Huntington, and amyotrophic lateral sclerosis.